At the 4th edition, the event entitled "Danube-Black Sea Canal Meets Serbian Partners" will be held on March 27, 2019 beginning at 7 pm at the TOP OF THE HUB - Business Center Ušće in Belgrade where it will bring together the most important personalities of the Serbian shipyard, traditional partners of the National Company Administration of Navigable Channels S.A. such as JRB, DTL (Dunavska Transpotna Logistika), Tomi Trade Smederevo, Elixir Group, CFND, representatives of Prahovo port and many others. The Danube - Black Sea Canal is a particularly important link of the Danube Navigation System, through which the river is connected to a first-class maritime port: Constanta Sud, where they have access and where they can operate the largest ships that transit through Suez and Bosphorus. 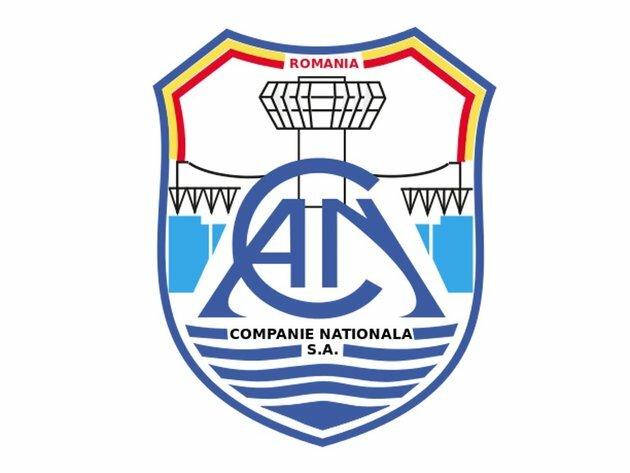 The National Company Administration of Navigable Canals S.A. operates two navigable canals: Danube-Black Sea and Poarta Alba – Midia Năvodari, four flood gates (Cernavodă, Agigea, Ovidiu, Navodari) and four ports (Basarabi, Medgidia, Ovidiu and Luminiţa). Through the connection between river traffic and maritime traffic with the Port of Constanţa, the navigable canals Danube - Black Sea and Poarta Alba – Midia Năvodari, make the entire Trans - European Rhine - Danube navigable channels system worthwhile. 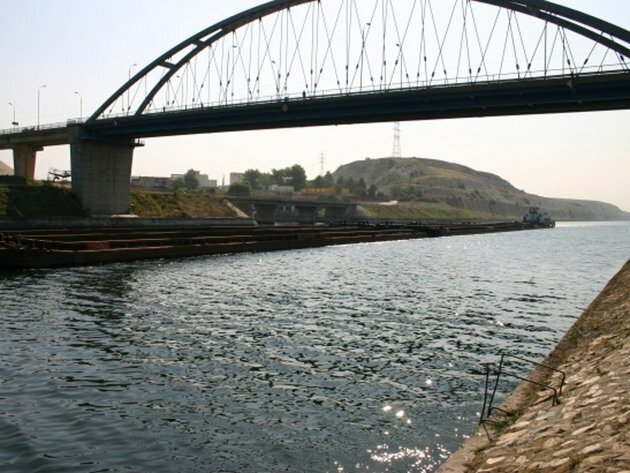 The Black Sea Danube canal connect the Danube to the Constanta sea port, shortening with 400-km the goods route from the Black Sea to the Danube ports in central Europe. it shortens its path using this route by about 4000 km compared to the Suez-North Sea route. In accordance with UN and EC standards, the Danube - Black Sea Canal, with a length of 64.4 km, is registered in the sixth class of indoor canals (the highest international class for such constructions), and the Poarta Albă – Midia Năvodari, enters the fifth class of indoor canals, with a length of 27.5 km. Navigation on the two canals is made for the purpose of goods and passenger transport, with river ships, fluvial - propelled, small craft and propulsion - free vessels in convoy formation or coupled simultaneously along the length in both navigation directions. The technical solutions used for the construction of the Danube-Black Sea canal allow for the transit of any type of cargo without special restrictions (eg ferrous and non-ferrous ores, coal, laminates, chemical fertilizers, petroleum products, cereals, etc.). In the area of the Danube - Black Sea Canal and Poarta Alba - Midia Năvodari canal there are ports allowing the operation of ships and the temporary storage of goods. Operations facilities and storage on the two Danube - Black Sea and Poarta Alba - MidiaNăvodari canals are provided through the ports of Basarabi, Medgidia, Ovidiu and Luminiţa. The transport of goods and passengers on the two canals is carried out in conditions of maximum safety and minimal impact on the environment, the investments made with European non-reimbursable financing contributing to this fact also. In the period 2007 - 2013, the development strategy of the National Company Administration of Navigable Canals S.A. focused on the modernization of the navigable waterway infrastructure so as to ensure safe navigation in accordance with European standards. Regarding the safety of navigation, measures related to RIS services and signaling of the waterway have been implemented. Also, a water quality monitoring system has been implemented in line with environmental requirements. For the 2014-2020 programming period, the company started the elaboration of the feasibility studies and the technical documentation necessary for the preparation of the projects included in the Master Plan of Transport of Romania, which will be financed by non-reimbursable external funds from the European Union through the High Infrastructure Operational Program. Also, for this period, the company unfolds Phase 2 of the major project "Modernization of Locks, Equipment and Installations ", funded through the same program. The continuation of all projects designed to improve navigation on the Danube, which plays an important role in the development of international relations, is the main common motivation of all actors in the shipping field. The transit benefits of ships on waterways are freely and non-discriminatory, for all ships and convoys, regardless of their origin, trained by authorized agencies, according to the Romanian legislation in effect. Since 1990, the traffic to and from Serbia has increased considerably, Serbian partners being some of the main beneficiaries of the shipping infrastructure managed by the National Company Administration of Navigable Canals S.A.
Beginning in 2013, Serbia is now a leader in the freight transport volume on the Danube-Black Sea Canal, including: agricultural products, metal ores, mining, coke and refined petroleum products, metals, chemicals, etc. The importance of developing the Romanian-Serbian collaboration must be emphasized and also, praised the interest shown in bilateral meetings bringing together business partners, investors and authorities from Romania and Serbia. They must be congratulated for their work and encouraged to continue to be involved in the creation and development of ship traffic. From the analysis of the statistical data on the country distribution of goods traffic carried out on Romanian navigable canals, we can see that traffic to and from Serbia is 27% in 2013, 20% in 2014, 22% in 2015, 23% in 2016, 21% in 2017, and 21% in 2018. - National Company Administration of Navigable Canals S.A. has been running collaboration relations with the Plovput administration in Serbia since 2009, when along with nine other companies managing the waterway along the Danube, the project "Network of Danube Waterways Administrations" (NEWADA) was implemented and continued with a new project NEWADA duo (Network of Danube Waterways Administrations), launched in 2012. - Danube STREAM (2017-2019), is a continuation of the success of the collaboration between the Danube waterway administrations, as they were done in the NEWADA and NEWADA duo projects, with the emphasis on initiating dialogues at national and internationally level between the waterway administrations and the institutions responsible for the protection of the natural habitat of the Danube, such as increasing the visibility of cooperative activities. 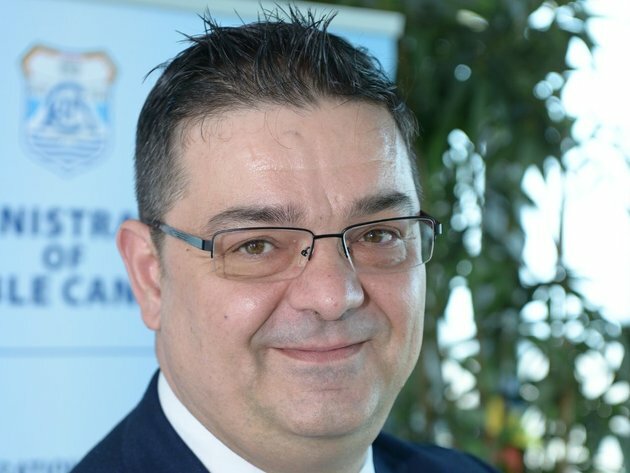 In the light of good working relationships with Serbian partners, the National Company Administration of Navigable Canals S.A. is considering developing projects for the extension of ship traffic and trade of goods between the two countries.